Sadly identity theft is becoming more and more common and this age of technology is making it easier and easier for criminals to access personal information that doesn't belong to them. You don't need to live in fear of someone stealing your identity but you do need to be vigilant. numbers, phone numbers or other information. application with an alternative address and you won't even realize it until it is too late. 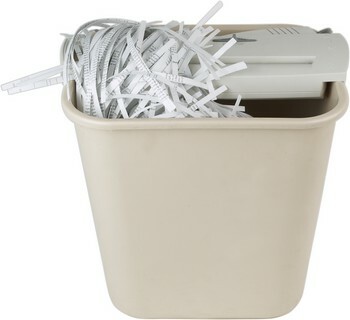 Don't have a shredder? Tear your junk mail up and then wrap it in newspaper with the veggie peelings. Watch for people trying to see or overhear information at banks or ATMs. Always take your receipt at the ATM and guard your PIN number - never, ever have it written down. Never use obvious dates as your PIN. Birthdays, wedding anniversaries and phone numbers are easy to remember, but how many people really have access to that information about you? Carry the least amount of personal information in your wallet or purse. Check your credit report often for suspicious activity. Review monthly statements and compare receipts. Keep track of credits, also. Also protect credit cards and passports from ID theft by using an RFID-proof (radio frequency identification) metal based wallet/case so that the information embedded in them cannot be scanned by a would-be identity thief with a portable scanner. Information can be scanned from quite a distance while the cards etc. are in your pocket or handbag, so beware.